Dürnstein once was a medieval castle. King Richard I Lionheart of England was held captive there by Duke Leopold V of Austria after their dispute during the Third Crusade. 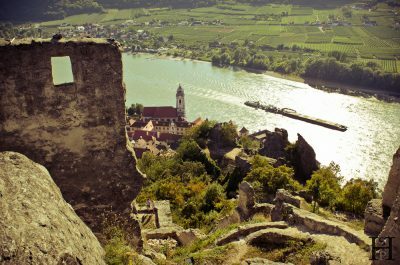 The ruins and the city lying below are now one of the most visited tourist destinations in the Wachau in Lower Austria.